This incredible and expansive 2-story residence, set on a desirable cul-de-..
5 Bd, 5 Ba 7,028 sq.ft. With it's North West views and cul-de-sac location, this Spanish style two-..
5 Bd, 5 Ba 5,708 sq.ft. The homeâ€™s thoughtfully-designed two-story, 5,407 to 5,708 sq.. ft. floor..
6 Bd, 6 Ba 5,407 sq.ft. This single-story residence welcomes you home in style with an elegant port..
4 Bd, 4.5 Ba 5,452 sq.ft. This spacious 5,452 sq.. ft. single-story estate features four bedrooms, fo..
4 Bd, 4 Ba 5,227 sq.ft. 3-bay GarageDen/OfficeLoftGenSmart SuiteOutdoor family roomFireplace in Gre..
4 Bd, 5.5 Ba 5,205 sq.ft. 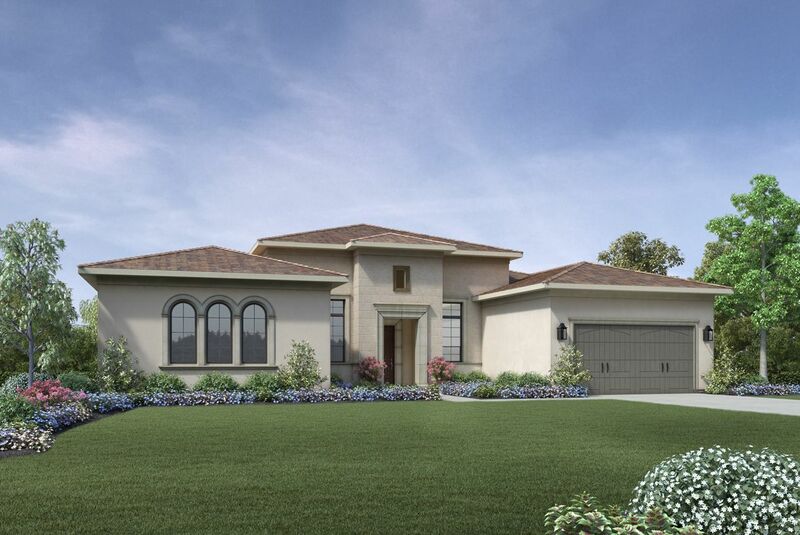 4 bedrooms including Guest Casita3-bay GarageDen/OfficeLoftWine cellarFirep..
4 Bd, 5.5 Ba 4,817 sq.ft. This elegant, estate-style home offers southwesterly views of the rolling h..
5 Bd, 5 Ba 6,858 sq.ft. This spacious 7,028 sq.. ft. two-story floorplan features five bedrooms, fi..
Luxurious, stately appointments.. The impressive two-story covered entry an..
Search new homes for sale in Carmel Valley! If you are looking to buy brand new homes for sale in Carmel Valley - browse floor plans, view photos, models, and pricing. You can also see new construction homes in Carmel Valley and request an appointment or more information about a specific new home.